Invariably, when one searches the internet for restaurant reviews of places to go in Paris, the general observation includes a few “rude service” comments. Personally, I’ve never experienced what they’re talking about, but that might be because I have a decent amount of French. I’ve always found Parisians pretty easy going if you just say “Bonjour” when you walk into a restaurant or a shop. You aren’t the first tourist they’ve ever seen. Smiles always help you. Jan and I are in Europe for planning meetings for next steps for our Hà Nội New Music Ensemble in Việt Nam. Things are moving forward, for while we’re in Europe, my Vietnamese colleagues have concerts in Hà Nội with the directors of the Münchner Biennale and then tour to the Guangxi Festival in Nanning, China. By dividing our resources we’re getting ready for an ambitious future. Allow me to share with you where a Parisian friend recommended we meet for dinner? And the staff is friendly and fantastic. Feel free to make your own reservation! 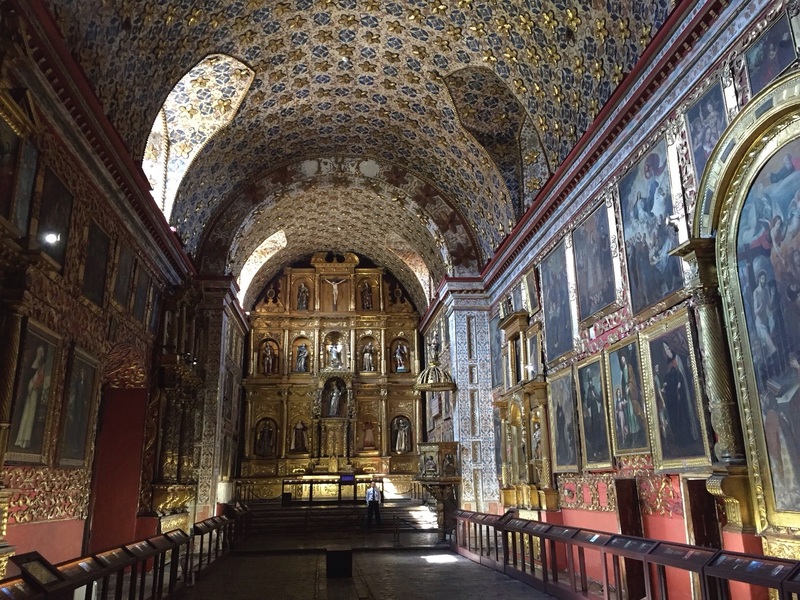 The Santa Clara Convent in Bogotá’s La Candelaria District. My last post contained a vibrant dose of Colombian energy, demonstrated by the opening citywide parade in Bogotá announcing the XV Iberoamerican Festival. As I’m beginning to process the impact visiting Colombia is exerting on my imagination (which kicked into high gear yesterday as we finally saw Ciro Guerra’s extraordinary Academy Award nominated film Embrace the Serpent) I’m reminded of one of the first conversations we had in Bogotá. “Let me try to explain the situation of identity in Colombia for you,” said our new friend composer Rodolfo Acosta, the protagonist of contemporary music in Bogotá. 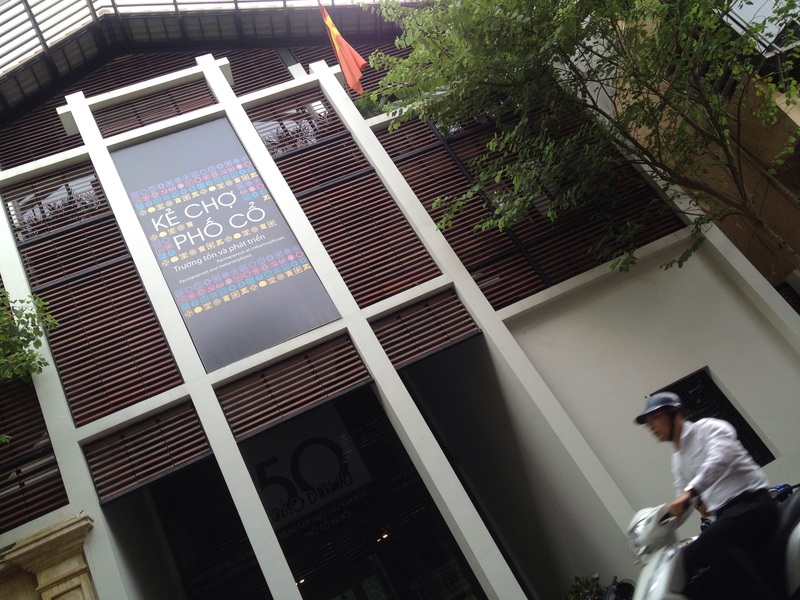 The new Old Quarter Cultural Exchange will host the first concert of the Hà Nội New Music Ensemble on October 25. Jan and I are looking forward to going to Hà Nội soon, and I’m excited to announce the inaugural concerts of the Hà Nội New Music Ensemble as we begin our roles as artistic advisors to this new group and the Hà Nội Philharmonic Orchestra in October. The concerts are October 25 at the new Old Quarter Cultural Exchange, October 29 at the Manzi Art Space and October 31 in the Grand Hall of the Việt Nam National Academy of Music. One thing, as they say, leads to another. But why Việt Nam? 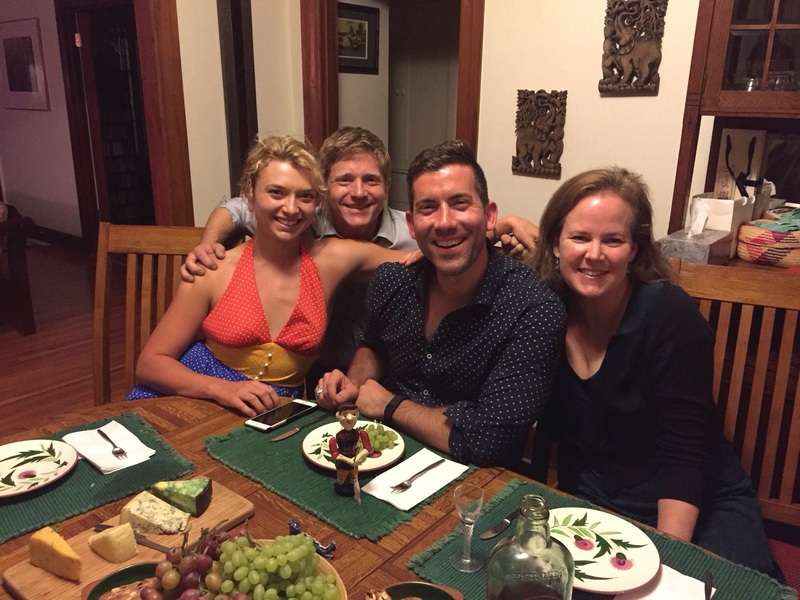 From left to right Amanda Aachen, Jon Lee Keenan, Abdiel Gonzalez and Elissa Johnston. I hope you’re hungry and thirsty when you read this post! 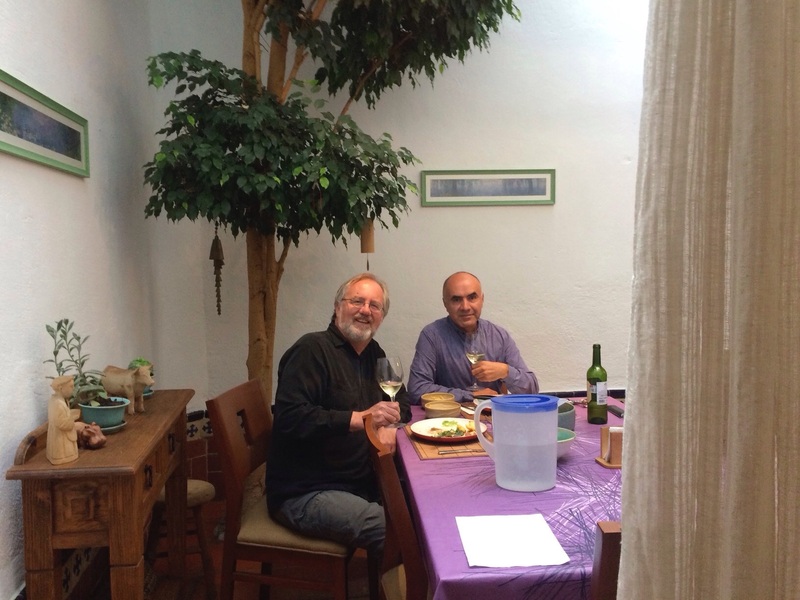 At the first rehearsal at my house, well ahead of getting together with the ensemble, Abdiel and I got to talking, as he had just returned from a tour to Ireland. Whiskey tastings had started around 10 AM. How about a true cocktail party to celebrate the Carter concert? A good reason for smiles from Jan Karlin and Tambuco at REDCAT. My friend Ricardo Gallardo, director of the magnificent Tambuco Percussion Ensemble of Mexico City, said it best at the conclusion of our third Los Angeles International New Music Festival. “We are just getting started!” 17 composers from Mexico, Japan, Vietnam, Cuba, Argentina, Colombia, Uruguay, Costa Rica, Brazil and the United States in 23 works in 5 concerts performed by 45 musicians at REDCAT in Walt Disney Concert Hall played to over 1,000 appreciative audience members. Let’s not leave out 10 U.S. premieres and 5 here on the West Coast, as well as hosting composers Gabriela Ortiz from Mexico and Leopoldo Novoa of Colombia. We have some exciting photos so let’s take a look at the concerts and the people who made this a not to be forgotten festival. 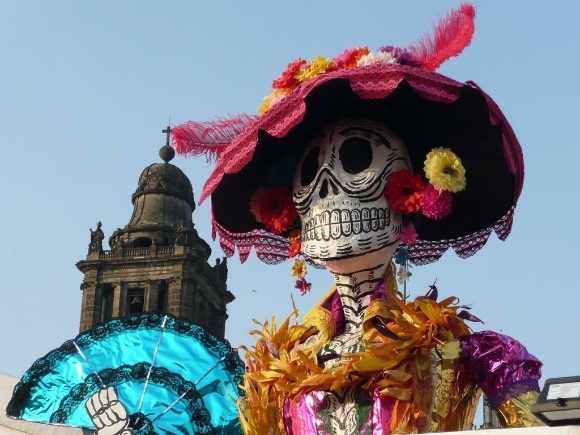 A Day of the Dead Parade opens SPECTRE, the next James Bond film. Here’s a Fun LA International New Music Festival Fact: Tambuco is part of the soundtrack of SPECTRE and the largest opening sequence in the history of the James Bond films set for release this November. To Tambuco’s surprise, director Sam Mendes is a huge fan of their work (via YouTube clips) and sent composer Thomas Newman to Mexico City to work on the score with them prior to shooting. 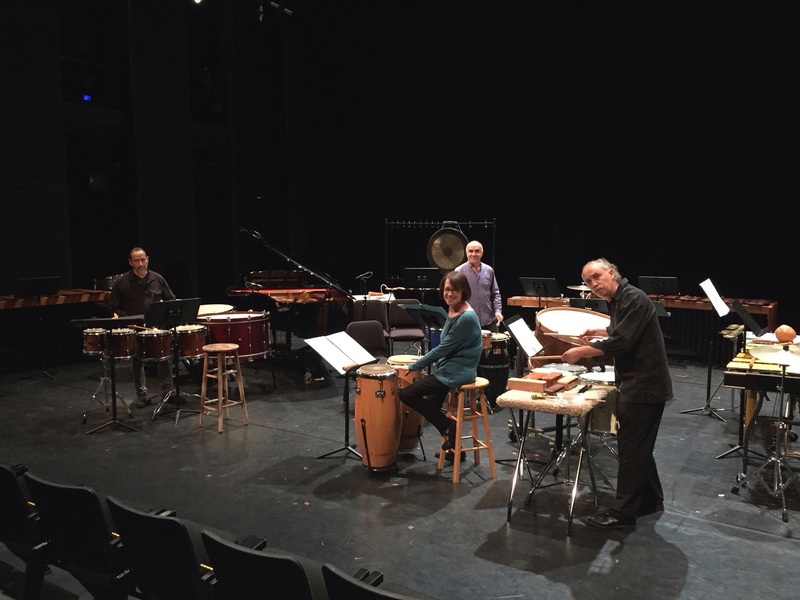 Prepare for a percussive opening, that’s for sure! This gargantuan opening sequence shut down the main square of Mexico City for about a week with thousands of extras, elaborately face painted and costumed for a Day of the Dead chase scene. Newman’s music is performed by Tambuco, who are also on camera during the sequence. We couldn’t be more proud of Tambuco! 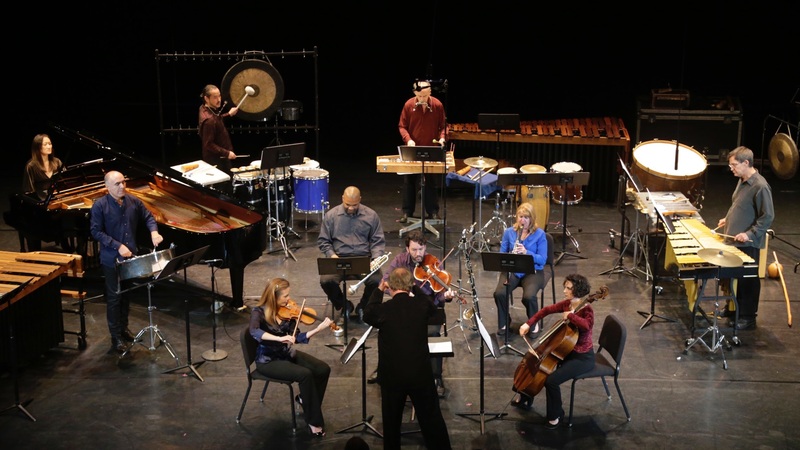 2015 Los Angeles International New Music Festival Starts July 7 at REDCAT! 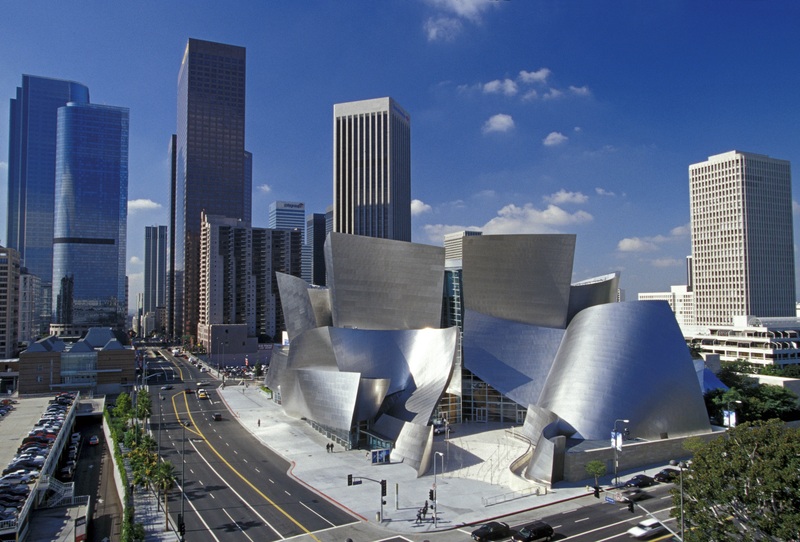 REDCAT in Walt Disney Concert Hall is the new home of the LA International New Music Festival. I love studying scores early in the morning. Maybe it’s because I was born around 8:20 A.M. – some say that’s a good indication of a morning person. Those early hours are undistracted and quiet for learning chords, orchestration, voicings, tempi, interpretation, making all the new details familiar like old friends. My rule of thumb is to go to sleep each night truly putting the day’s work away. If I can remember everything clearly when I wake up the next morning, I’ve learned just a bit more for the coming performances and then know what to repeat and when to move forward. That makes the next early morning so important for my work habit. And I knew today I’m ready for our LA International New Music Festival starting at REDCAT next week on Tuesday July 7 at 8:30 P.M., with a pre-concert talk at 8 P.M.
Because this morning I got a visitor telling me that just the right energy is coming out of my study!